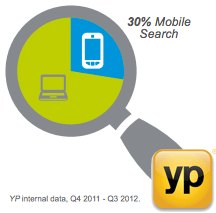 YP has published a mobile search report that claims 30% of searches on their network were mobile. 30%! In the past year, users made an average of 350,000 more local searches every day across the YPSM Local Ad Network compared to the prior year. This growth was primarily fueled by mobile searches, which grew 25% in the same time period, and now account for 30% of all searches on the YPSM Local Ad Network. Many of these searches were made on YPmobile products, the marquee mobile properties of the Network, where searches grew an impressive 161% vs. the prior year. That is surprising to many, wouldn't you think? 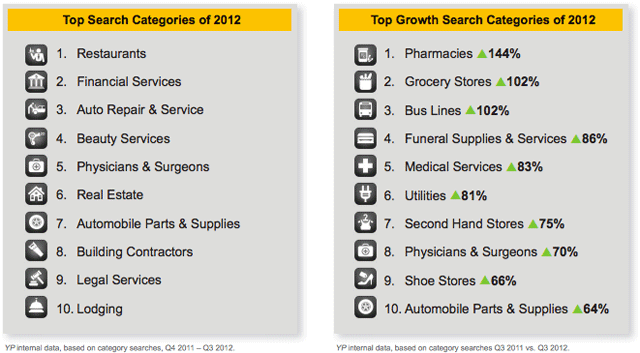 What about top searches and growth of those searches on mobile? 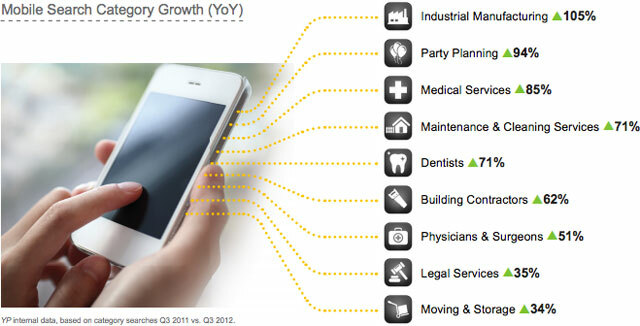 There is a lot of useful stats in this report, you can see the mobile search report yourself. Google's John Mueller explains on Google+ that this is important and if you are going to go mobile, he shares Google's mobile recommendations for going mobile with your web site and staying search engine friendly.